Shopping for a new car can be fun, even if it’s a used car because you get to think about all the features you want for the next chapter in your life. Are you now past the minivan stage or just entering it? If you have a vehicle and are you considering getting a new car because your current car seems to be in need a few repairs, we have some suggestions for questions to ask yourself before making this big decision. 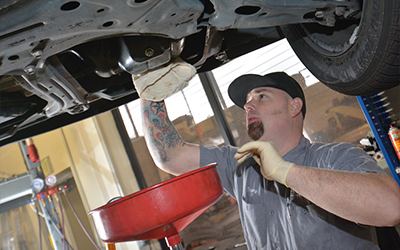 Shannon Family Automotive is Folsom’s go-to car repair center. Call us today or use our handy online system to make an appointment. Can You Afford to Get all the Features you Know Have and Love? If you have a car, you love and has all the features you would want in a new car you might find that you can no longer afford the leather seats, sunroof and powerful engine you currently have. Shannon Automotive is dedicated to keeping the cars and trucks in the Folsom area running as long as we can and to serve our customers with the best customer service around! One thing to weigh when making this decision is the price of a new car payment over car repairs over the same period. We offer a warranty on all of our car repairs, so you know you won’t have to make the same repair again within two years or 24,000 miles. Keeping your current car, the one with all the features you love, running as long as you can, can save you from being saddled with a car payment. Considering a New Car While Still Paying for the Old One? Especially if you are still making payments on your car, getting it repaired is the smart move for smaller repairs. If the amount you’d have to pay for a reliable vehicle is may more than the repair, you should stay still with your current car. Your trade-in value will fall considerably if your car is in need of a major repair so again, making repairs is a smarter move financially. Sticking with your current car longer will enable you to save for the new car of your dreams. As long as your repair bills are less than the car payments, you should be able to save money that gives you a bigger down payment on your new car, which will keep your car payments manageable. Another question to ask when considering the balance of car repairs and new car payment is the gas milage you are getting with your current car. If you are getting reasonable miles per gallon, it could play in favor of keeping your current car or truck. If your fuel bills tip the balance, it might be time to switch to a new vehicle. 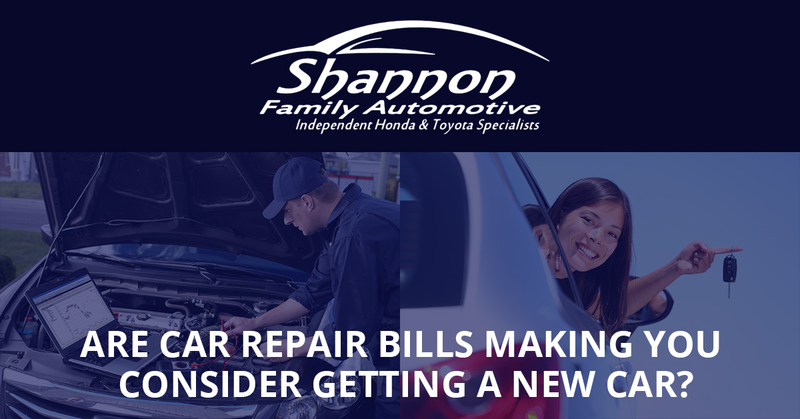 Regardless of whether you decide to go for a new car, or stick with your current car, Shannon Family Automotive can help! If you are sticking it out, we can keep your vehicle in great running condition and if you decide to move on, let us get your car in great condition so that you can get top dollar for it. Call us today to see how we can keep your car or truck running for as long as possible!